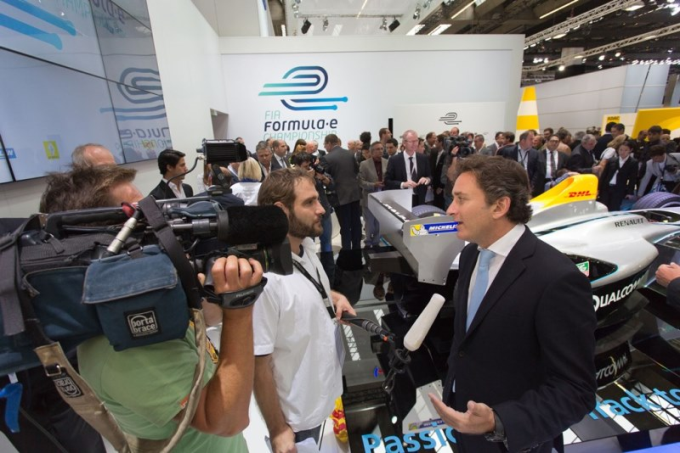 Aurora Media Worldwide (AMW) have today (10, October) signed a multi-year partnership with Formula E Holdings to be the exclusive host broadcaster and media partner for the new FIA Formula E Championship. The agreement will see AMW produce world-class coverage of all Formula E races, qualifying and practice sessions, delivering an innovative and interactive experience to a new generation of motorsport fan. Formed by Lawrence Duffy in 2012 with offices in London, Melbourne and Bangkok, AMW have quickly established themselves as one of the leading motorsport producers, specialising in filming city-centre racing. Its dedicated team, which includes renowned motorsport director Westbury Gillett and producer Mike Scott, boasts many years’ experience gained from high-profile street circuit events such as the Monaco and Australian Formula One Grands Prix. All Formula E races will be produced in HD 1080i by the same dedicated experienced production team using the latest technology, innovative cameras and outside broadcast facilities – guaranteeing outstanding production values, quality and consistency at each event. To date, Formula E has already confirmed a multi-year, multi-media deal with FOX Sports - one of the largest global sports broadcasters. AMW will now join Formula E, together with its media rights partner MP & Silva, at the forthcoming (14-17 October) Sportel exhibition in Monaco where the recently unveiled Spark-Renault SRT_01E Formula E car will also be on display.